dejiolaluweblog: Opinion: Is Yoruba Nation's Return To The Political Opposition Trenches Any Imminent? 0 Opinion: Is Yoruba Nation's Return To The Political Opposition Trenches Any Imminent? Without trying to over romanticized the past those, unarguably, were the glorious days of politics of western Nigeria Vis-a-vis the many landmark developmental contributions to national socio-economic progress and drive for greatness. The Yoruba nation then, made many giant strides that were the envy of other regions locked in some healthy developmental competitions to be the first with top notch dividends of our then nascent democratic sojourn. With the first experience beginning in 1959 and terminating in 1966 on the back of series of momentous national events namely the botched Major Kaduna Nzeogwu led coup d'tat, the subsequent counter coup, and the civil war which effectively ended in 1970. Not forgetting also the infighting within the Action Group (AG) itself being one of the triggers that led to almost all of the events mentioned above. And the second beginning with the transition to civil rule program of General Olusegun Obasanjo in 1979 through 1983 when the military boys retook power from the allegedly corrupt civilian administration of Alhaji Shehu Usman Shagarii. In the two instances cited above, while the nomenclature of the opposition party at the heart of this discuss changed from Action Group (AG) to the Unity Party of Nigeria (UPN); Chief Obafemi Awolowo remains all through the quintessentially unblemished embodiment of its ideologies mind, body and soul. Agreed there were pockets of other opposition parties in existence then but none came any close to the Action Group in term of leadership, follower-ship and depth of intellectual wherewithal. This, definitely, has a far reaching impact on the serial successes of the party. Needless to say he was the most visible alternative voice to the government at the center immediate post independence and much later. His well documented robust analysis of programmes, programmatic and policies of all the governments he opposed was nothing but admirably nationalistic, deeply intellectual, and politically enriching to the national experience. His discussions were always reminiscent of a man who knew that government and governance are all about the people with whom lie sovereignty, trust and delivering on electoral promises. Above all, they were filled with genuine cries for the drowning soul of a nation in need of urgent rescue. While his developmental exploits pre and immediate post independence were a riveting topics to all avid students of history; this humble writer is a proud beneficiary of his free education policy during the second republic. And I can safely testify to some of the near perfect educational provisions that we enjoyed back then as being unmatched by any latter day governments both at the federal or state levels even with the best of intentions. Even after his passage in 1987, repeated efforts by some of his avow loyalists and admirers to re-enact some his achievements ended with little or success. Especially from 1999 when the republic transitioned successfully from military to civil rule once more under the watch of General Abdulsalam Abubakar. But one thing remained constant and that is the place of Yoruba nation as an exemplary opposition enclave of sort and it is not simply to antagonize the center just for the sake of blind antagonism. Chief Obafemi Awolowo ensures that and till today it has become part and parcel of almost every Yoruba persons. The why and how of the extant change mantra? All that, however, was to dramatically changed with the realignment of political forces in the opposition with the sole aim of capturing the center prior to the general elections of 2015. A development which was a significant departure from the age long norm the west is known for. It must be acknowledged that the incident somehow answered to the long standing undercurrent aspirations and clamor of many who saw the need for some form of political integration or if you like adventurism into the center. The center they strongly argued overtime is awash with juicy opportunities which the west cannot continue to deny itself access to. A divisively combustible sentiment which even Chief Obafemi Awolowo had contended with with violent fissile implications in the rank and file of his political movement way back. The break away of Sir Ladoke Akintola's faction of the Action Group (AG) in 1962/63 crisis is a case in point and not unconnected with conflict of principles over the desire of the former to align with the center. A drift to which Awo was diametrically opposed. And at the center of this latest ambitious scheme is Asiwaju Bola Ahmed Tinubu. A professed Awoist. A political strategist of no mean repute. It is on record that he brokered the merger of the opposition parties sacrificing his personal ambition, wealth of experience, money and persuaded others to tow the same path. The result was the birth of All Progressive Congress (APC):from elements from Action Congress (ACN), Congress of Progressive Change (CPC), and splinter groups from both the All Progressive Grand Alliance:(APGA) and the People Democratic Party (PDP). The hurried political marriage became an instant object of lurid narratives because it paid off with near landslide victories across board. As at the last count, the new political party captured the center in addition to winning twenty six out of the possible 36 states of the federation. It also got the majority in both national legislative houses. Naturally, one would expect a deliberate drive towards consolidating on the hard won gains of the new party. One and half year on after the historic feat there appears, however, to be some subtle promotion of agenda other than those which brought the progressive forces together in the first place. To every discerning political observer, almost brazen efforts are being made on daily basis to sideline elements within the ruling party who are the power brokers and repository of ideas and opinions and sacrifices that significantly drive the first electoral victory.of opposition party in Nigeria. In this respect, various commentaries are pointing in the direction of Asiwaju Bola Ahmed Tinubu, the national leader of the ruling party the All Progressive Congress as being betrayed. Evident cracks in the walls of the ruling party? If recent events are anything to go by, then the rumour of cracks in the walls of the ruling party is nothing but true. To further highlight this chasm, only some weeks back, there was a solidarity march in Lagos and its environs by Tinubu's abiding loyalists over what they termed deliberate efforts to sideline him from the scheme of things within the ruling party. Speaker after speaker during the rally spoke vehemently against plots to ridicule their political Godfather and by extension a proud Yoruba son in spite of his labor towards building the party. They also vow to take the solidarity march across the length and breadth of the Yoruba homeland. Nothing so far has been done in this regard. This is coming several months after a hint of discontent was first dropped by the south west members of the ruling APC at the party Zonal retreat held in Ibadan, Oyo State. In the said meeting, wails of marginalization of the region in the scheme of things echoed through the venue which caused quite a stare. Appeals were subsequently made for calm and understanding of stakeholders from the Geo-political zone with assurances from the president's men that the zone grievances would be looked into. Similarly some of the chieftains and governors elected on the platform of the party especially from the South West were conspicuously missing at the flag off rally of APC governorship candidate in the upcoming governorship election in Ondo state. So, what does this portend both in the interim and long term for the political destinies of the Yoruba race? In the light of the above scenario, people are beginning to sense that nothing really has changed in the fortunes of the region since its foray into the center. Instead, all the zone has gotten for driving the change process are repeated stabs at the heart of its core interests, aspirations, loyalty and values and above all appointments not proportional to what it has contributed to the new party. A repeated sting of betrayals. This no doubt calls for urgent evaluation of the existing merger to see whether it is sustainable and if not what the next line of action should be. Two options, however, are available from all political permutations. One is forging a new alliance with the aim of competing for national relevance going forward. And two, the return of the region to the opposition trenches abandoned only as recently. The later from all political calculations stands a realistic chance of success. To embrace another alliance at this junction is like walking into another political quagmire similar to where we have found ourselves. 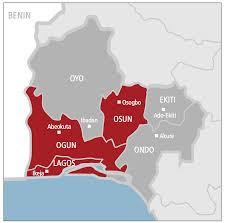 At the present, high level consultations, reportedly, are on going among political actors and traditional leaders across the length and breadth of Yoruba homeland with view to determining what line of action to follow preparatory for the 2019 general elections. Except something drastic happens that sincerely address the real and perceived complaints of the region, a return to the opposition trenches is looking more like it. This no doubt will be consistent with available historical patterns in Yoruba land and it would be fait Accompli. After all, if going forward is no longer realistic; backward reintegration becomes the most feasible option.